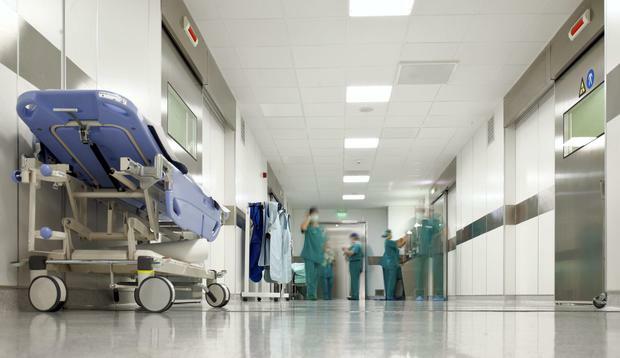 HEALTH chiefs are treating as a tragic accident the death of a young mother in a maternity hospital who was found unresponsive on the floor with her newborn baby. An investigation is now underway at Cork University Maternity Hospital (CUMH) into the tragedy on Monday. The infant was found seriously injured beside her mother. However, the child is now in a serious but stable condition. The woman, who is in her early 30s, had given birth last weekend and it is believed she was breastfeeding when the freak accident occurred. One theory being considered is that the young woman was suddenly taken ill and may have fallen out of bed as she attempted to seek help or reach a toilet. She was in a single room at CUMH which was opened just over a decade ago. The Cork facility ranks as Ireland's most modern maternity hospital. When discovered, the infant was partially trapped underneath the young mother on the floor. The woman had been checked by CUMH staff just a short time earlier. It is understood the woman showed no indications of illness or feeling unwell at the time. When she was later found on the floor, emergency resuscitation was commenced but, tragically, the woman could not be revived. A full post mortem examination is now scheduled to be conducted at Cork University Hospital (CUH) to clarify the precise cause of death involved. A file will be submitted to Cork Coroner Philip Comyn. The South South-West Hospital Group of the Health Service Executive (HSE) have described the incident as a tragic occurrence. Counselling and support services are now in place for the woman's family.